After years of work conflicts and scheduling bad luck, I finally made it to one of Ed McCarthy’s annual December Champagne tastings for the Wine Media Guild of New York (WMG)! And after whiffing so many times on this yearly event, things actually worked out in my favor, given Ed’s choice of theme this year: Rosé Champagnes, with a record number of Champagnes to sample (22 in all). Ed happens to be one of America’s foremost authorities on Champagne, and the author of the James Beard Award-nominated Champagne for Dummies (as well as co-author with his wife, Master of Wine Mary Ewing Mulligan, of the gazillion-selling Wine for Dummies, and numerous other titles). Armed with a great palate and a thoughtful, articulate approach to wine evaluation, Ed has been a pleasure to work with at various professional tastings and events over the years. 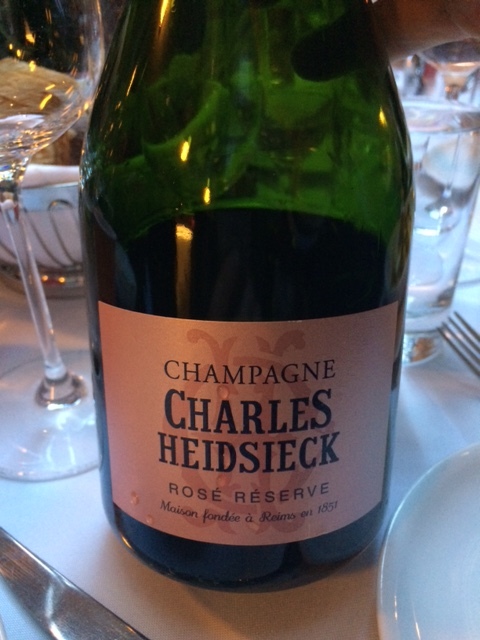 And true to form, his Rosé Champagne tasting at the WMG lunch earlier this week at Il Gattopardo was an embarrassment of riches, and a great advertisement for the category in general, one which many only consider for special occasions — and not for the table (a big mistake!). 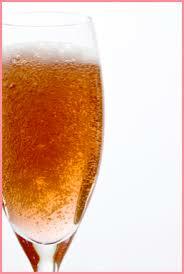 Rosé Champagne, as the name suggests, is essentially a pink-hued version of the Methode Champenoise wine, running from the faintest pink to a deep salmon or watermelon, achieved by either adding some still red wine into the blend, or (less frequently) allowing more skin contact from the red wine grapes during fermentation (in both cases, with either Pinot Noir or Pinot Meunier – or both). Counter-intuitively, these rosé wines are often not made with a majority of the Pinots, but rather with the other allowed grape in Champagne, (the white) Chardonnay. For the record, there were no dogs in this bunch, which included 15 non-vintage (NV) and seven vintage wines, including “prestige cuvées”. One could possibly quibble about the price/quality ratio for a few of the wines, like the $300 Perrier-Jouët Belle Epoque Rosé 2006, which, despite the beautiful flower bottle, was disappointing in view of the hefty price tag. But otherwise, this was an amazing, can’t-miss line-up (all prices are approximate). On the least expensive end of the spectrum, I liked the A.R. Lenoble Brut Rosé NV ($43), a small production “grower” Champagne with a high dose of Chardonnay (89%), the lightest pink color of the bunch and a bright, lively palate with a clean, crisp finish, perfect as an aperitif. The Ayala Rose Brut Majeur NV($53), dry and minerally, with tart red berry fruit (51% Chardonnay, 40% Pinot Noir, 9% Pinot Meunier), would also work beautifully with appetizers and light fare to kick off a soirée. One wine that would easily hold up for the entire meal is the Duval-Leroy 1er Cru Brut Rosé NV ($60) – substantial body, with good grip and nice complexity, along with vibrant red fruit. Speaking of the table – or, in fact, any occasion – the Henriot Brut Rosé NV ($60) is a pink Champagne for all seasons: a light salmon with a floral nose, a clean and elegant palate with herbal notes and a mile-long finish. The vintage Champagnes were complex, impressive…and expensive. Among these leading lights, I was seduced by the Taittinger Comtes Brut Rosé 2006 ($230): a deep salmon hue, this wine is precise, clean and creamy, with red berries, spice and citrus notes (and great length). Sophisticated. Impressive. At the lunch, WMG member John Foy and I marveled at the versatility and food friendliness of these wines. 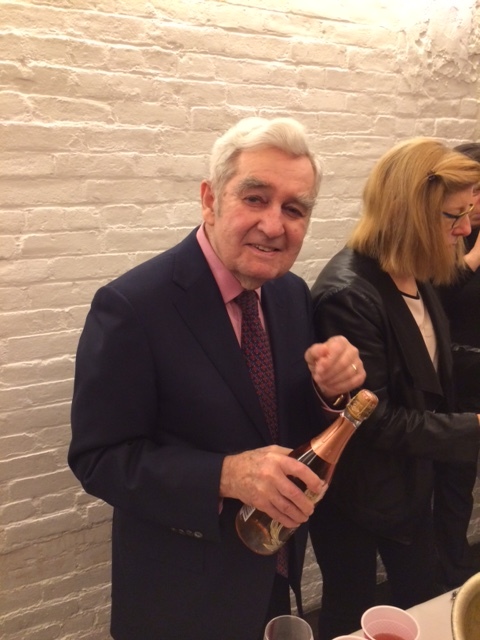 And while not inexpensive, Foy asserted that even the most expensive of the Rosé Champagnes are bargains compared with top end Bordeaux and Burgundy, and equally long-lived. Here, here! So, a (Champagne) toast to Ed McCarthy and these serious rosés, festive choices for the holiday season…and beyond.